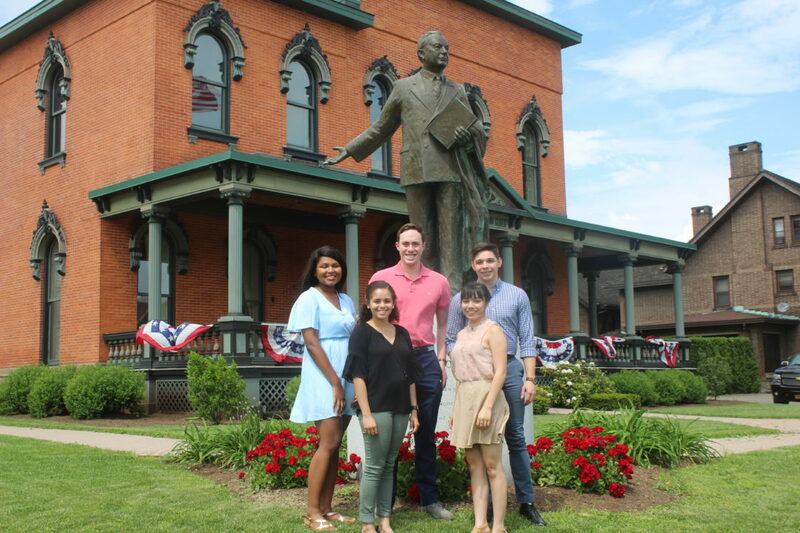 The Robert H. Jackson Center has welcomed five college students participating in the Jackson Center’s internship program this summer. 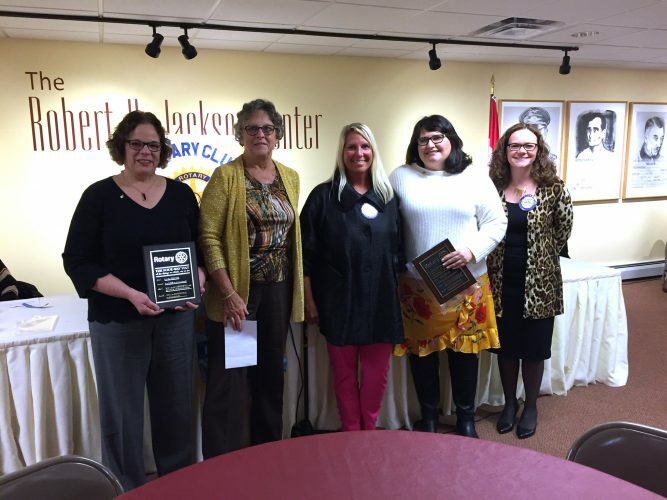 The Robert H. Jackson Center intern program provides a formal experiential learning experience integrating knowledge and theory learned in the classroom with practical application and skills development in a professional setting. Jackson Center interns come from a wide variety of majors. Interns work directly with their academic advisor and Jackson Center staff. Faith Simms is a rising senior at Allegheny College in Meadville, Pa., with a major in International Studies and Spanish from Winchester, Va. Simms is the chief recruitment officer of Kappa Alpha Theta sorority, a member of the United Nationals Club and involved in student government. She intends to attend law school for human rights or international law. Other interests include nonprofit and humanitarian work, and travel. Having studied in Buenos Aires, Argentina, she hopes to explore more of Latin America. Alex Venezia is a rising senior at Allegheny College with a history and political science major and Black Studies minor from Wexford, Pa. He is the president of his fraternity, Delta Tau Delta, the president of the Pre-Law Club and attorney general for the Allegheny College Student Government. In his sophomore year, Venezia became a member of the Phi Alpha Theta history honors society. With a career in the legal field in mind and a passion for history, Venezia said he hopes that this internship will give him a better understanding of the legacy of Robert H. Jackson and the impact that Jackson’s work had on our current political and legal system. Venezia will also use this summer to hone his research skills and public speaking abilities. John Rosenbaum is a rising junior at Allegheny College with an international studies major and a German minor from Latrobe, Pa. Rosenbaum recently participated in an alternative spring break through which he went to Grafton, Ill., to clean up litter along the banks of the Mississippi River. He is a member of Allegheny College’s Law and Policy program. Rosenbaum will hone his research skills, increase his public speaking confidence and learn more about Jackson’s part in designing and executing the first successful implementation of justice for international war criminals. Rose Pregler is an Erie native and attends Mercyhurst University. She is a rising senior, with a double major in archaeology and public history and a minor in Theatre. Her dedications to historical artifacts, community involvement, and empathy define and inform her passions and career aspirations. After graduation, she plans to further her career in archaeology and public history through internships, higher education and job opportunities. She would like to work with artifact and/or archival collections and share them with the public in new and innovative ways. On the weekends, Pregler is a volunteer cantor at Mercyhurst University’s Christ the King Chapel and Our Lady of Mount Carmel. Karighan Walker is a rising senior at Clemson University in South Carolina and is a native of Jamestown. She is a political science major with a psychology minor. At Clemson, Walker has been active in service clubs and led her own service project in Tennessee. Walker is a member of the Phi Alpha Delta law fraternity; where she currently serves as recruitment chair. Karighan plans to pursue a law degree. Through interning at the Robert H. Jackson Center, she will develop her research skills and widen her knowledge of Jackson’s professional career.